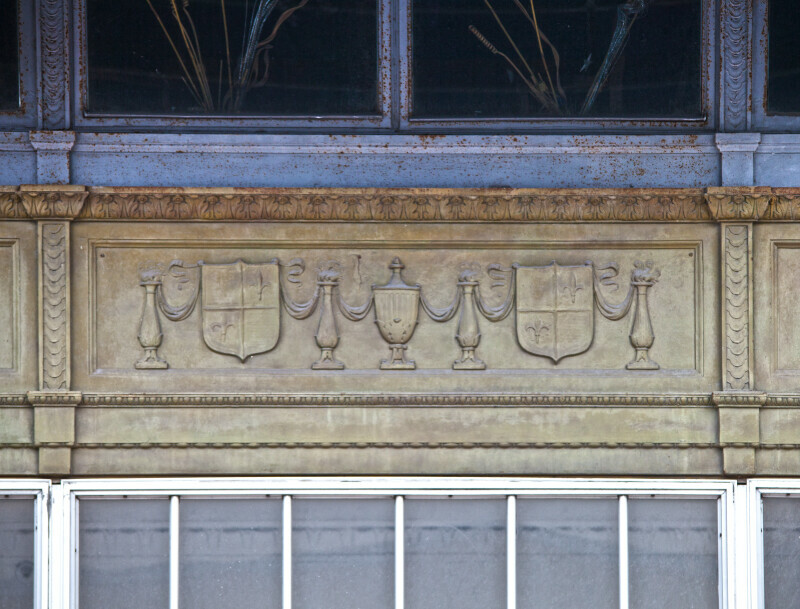 This horizontal spandrel panel is decorated with urns, and escutcheons. There also appear to be swag-draped stanchions. This is a decorative element on the Congress Building. The building is listed on the National Register of Historic Places.